It's back. There just seemed to be a need to pick back up where things left off several months ago. The material within the Wisdom Teachings series has always been jammed-packed with valuable data and study points that are good for years of research. This has been one of my favorite characteristics of the series. It also touches on why at one point, it became difficult to keep up with the series. As I stated in previous articles, writing has not always been the easiest task for me to complete. There has always been a challenge with energy, health, and clarity of thought. However, these have approved for me somewhat in the past several weeks. I am happy to pick the Wisdom Teachings series back up and try my luck at the mountains of data which David Wilcock has become known for delivering to his audience for the benefit of their own research. When I last wrote on the series, Wilcock was covering some of the most dense scientific information I have seen within the series thus far. This information was relatively difficult to write about, but was still comprehensible to those of us who are somewhat familiar the technical side of astronomy and astrophysics. These more recent episodes, on the other hand, cover subjects which—though they still require significant personal effort in research—give the viewer more material to chew on and less technical data to tackle. It was enjoyable to see these new topics covered in the series, and in this article I will give commentary of the subject of Hindu prophecy and ancient predictions of what some call the End Times (which could also be considered Beginning Times). The ability of ancient texts to predict future events seems to be a common trend throughout history. From the ancient Sanskrit predictions of the Zoroastrian faith to ancient Egyptian religion, to the Judeo-Christian and Native American prophecies—all of these faiths and philosophies held within them various predictions about future events—predictions which have been found to be surprisingly accurate. There are multiple parallels between these prophesies. One of these includes predictions about the condition of the world during the End Times. It could easily be said that these times of difficulty and transition directly represent the current state of our world society. We may know by now that these times of ending and beginning are but a small portion of a larger cycle of events which our planet undergoes over the millennia. In fact, universally speaking, there seems to be a constant progression of stages which mark the overall development of the universe, both on the cosmic and the quantum scale. We as human beings play a major part on this development of awareness within our world. It has even been spelled out in various ancient texts that this societal development is part of a larger aspect of universal development. The cosmic cycles and progression of the universe as a whole is said to occur fractally. In other words, just as the universe consists of a fractal design, the universal development of that design and consciousness occurs fractally at every level of scale. From the microcosmic to the macrocosmic, everything in existence is believed by multiple ancient cultures to be evolving to greater levels of awareness as one divine superconsciousness. Among the many cultures from around the world, there seems to be a common theme in storytelling of the journey of the hero through their own awakening, development and achievement of some grand task. After this task is completed, the hero is born into a brand new state of being and consciousness. Within every one of these stories from millennia past from different corners of the world, this theme of the journey of the hero seems to remain astoundingly consistent. It is theorized by some and believed by ancient religions that the hero's journey within the story actually represents the spiritual evolution of consciousness throughout its development. Further, the stage we know as the end times, plays a major role as the transitional period of the hero's journey from a state of desperation and decay to one of endless abundance and prosperity. This stage of despair we know as the dark night of the soul and consists of many revelations and difficulties which are not typically seen during other stages of development. 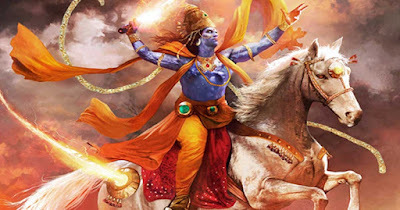 In the Hindu faith, these times are known as Kali Yuga or the Age of Discord (also known as the Age of Strife, Age of Vice, Age of Quarrel, Age of Contention), and these are the conditions we find within our current world as well as the ancient Hindu prophesies of the Mahabharata. As we will see, these predictions of the world from thousands of years ago are astonishingly accurate. In the Kali age, the Brahmanas also abstain from sacrifices and the study of the Vedas, are divested of their staff and deer-skin, and in respect of food become omnivorous. And, O son, the Brahmanas in that age also abstain from prayers and meditation while the Sudras betake themselves to these! The course of the world looketh contrary, and indeed, these are the signs that foreshadow the Universal Destruction. And, O lord of men, numerous Mleccha kings then rule over the earth! We may note that the Universal Destruction mentioned above is in reference to what is later termed the Samvartaka fire. Wilcock comments this fire is actually believed to be in reference to the solar flash which is mentioned in virtually every ancient religion on the planet in various ways. He mentions that this fire at the end of an age is spoken of as though it is a commonly accepted fact within these ancient cultures. David Wilcock makes the point about the sound of the word Mleccha in reference to the kings within the prophesy. The text predicts that the kings and rulers at the end times will be corrupt beyond measure. Their corruption could even be described as vomitous, and this may describe the origin of the word Mleccha is it sounds like a person vomiting, as Wilcock mentions. He also states how interesting it is that this prediction came about when it did, because at the time, the rulers and leaders were exceptionally upright and virtuous. And those sinful monarchs, addicted to false speech, govern their subjects on principles that are false. The Andhhas, the Sakas, the Pulindas, the Yavanas, the Kamvojas, the Valhikas and the Abhiras, then become, O best of men, possessed of bravery and the sovereignty of the earth. This, O tiger among men, becometh the state of the world during the eve, O Bharata, of the Kali age! Not a single Brahmana then adhereth to the duties of his order. And the Kshatriyas and the Vaisyas also, O monarch, follow practices contrary to those that are proper for their own orders. And men become short-lived, weak in strength, energy, and prowess; and endued with small might and diminutive bodies, they become scarcely truthful in speech. 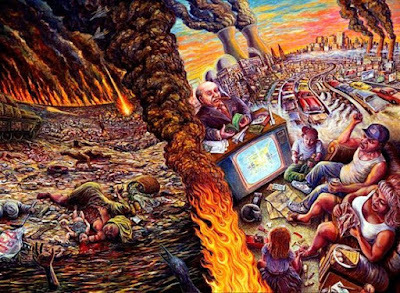 And the human population dwindles away over large tracts of country, and the regions of the earth, North and South, and East and West, become crowded with animals and beasts of prey. And, O king, women then become mothers of numerous progeny, endued with low statures, and destitute of good behaviour and good manners. The reference to women who became mothers of numerous progeny was a point of discussion in this particular talk. At the time these texts were first written (approximately 400 B.C.E. ), the population of India was nowhere near as inflated as it is now. The issue of overpopulation was not at all a problem, most likely because the people of that time lived more in balance with the the land and with their own society. This passage is not referring to that period in history, but seems to refer very closely to our current point in history. One other point to note is that the Brahmana were the religious leaders of the time. And, O king, the very kine at such periods yield little milk, while the trees, sat over with swarms of crows, do not produce many flowers and fruits. And, O lord of the earth, regenerate classes, tainted with the sin of slaying Brahmanas, accept gifts from monarchs that are addicted to falsehood in speech. And filled with covetousness and ignorance, and bearing on their persons the outward symbols of religion, they set out on eleemosynary rounds, afflicting the people of the Earth. And people leading domestic lives, afraid of the burden of taxes, become deceivers, while Brahmanas, falsely assuming the garb of ascetics, earn wealth by trade, with nails and hair unpared and uncut. The point was made that the ascetics were the religious figures who chose to live impoverished lives for the sake of their faith. However, such religious practitioners were, in the future, projected to be falsely religious and greedy behind their false dedication. And, O tiger among men, many of the twice-born classes become, from avarice of wealth, religious mendicants of the Brahmacharin order. And, O monarch, men at such periods behave contrary to the modes of life to which they betake themselves, and addicted to intoxicating drinks and capable of violating the beds of their preceptors, their desires are all of this world, pursuing matters ministering to the flesh and the blood. And O tiger among men, at such period the asylums of ascetics become full of sinful and audacious wretches ever applauding lives of dependence. And men, unholy in deed and thought, take pleasure in envy and malice. And, O sinless one, the earth then becometh full of sin and immorality. And, O lord of the earth, he that becometh virtuous at such periods doth not live long. Indeed, the earth becometh reft of virtue in every shape. Let's consider the possibility that all of these religious texts from the different corners of the world were so similar because the same group of benevolent ETs deliberately seeded this knowledge into these religions and cultures early on. This task may have been done because these ETs cared about our future and they wanted to see the Earth and its people prosper instead of perishing in the coming millennia. We may keep in mind though that just because these religions were somewhat dogmatic does not mean that the ETs who delivered the underlying knowledge intended for the Earth's people to include dogmatic principles. Wilcock mentions that these beings were likely 4th density and viewed Earth humans as in need of serious aid and improvement. If these beings were time travelers or were able to see the future, they may have given us hints as to how to spare ourselves and our future from this destruction, or possibly to educate us as to how to endure the coming difficulty and to prosper after these troubled times. And, O tiger among men, the merchants and traders then full of guile, sell large quantities of articles with false weights and measures. And they that are virtuous do not prosper; while they that are sinful proper exceedingly. And virtue loseth her strength while sin becometh all powerful. And men that are devoted to virtue become poor and short-lived; while they that are sinful become long-lived and win prosperity. And in such times, people behave sinfully even in places of public amusements in cities and towns. And men always seek the accomplishment of their ends by means that are sinful. And having earned fortunes that are really small they become intoxicated with the pride of wealth. And O monarch, many men at such periods strive to rob the wealth that hath from trust been deposited with them in secrecy. And wedded to sinful practices, they shamelessly declare--there is nothing in deposit. Wilcock makes the point of how this prediction of fraudulent and deceitful handlers of wealth is surprising accurate to modern times. The banks that have been considered too big to fail have failed repeatedly and every time, instead of admitting their wrongdoing and making up for their actions, they steal the remaining wealth of the people and cut themselves checks. These bankers, in essence, gamble with the money of the people and when they lose, they simply take the remaining money and run while telling the people, “There is no money.” This seems to fit this prediction quite well, even though the prediction is thousands of years old. And wedded to sinful practices, they shamelessly declare--there is nothing in deposit. And beasts of prey and other animals and fowl may be seen to lie down in places of public amusement in cities and towns, as well as in sacred edifices. And, O king girls of seven or eight years of age do then conceive, while boys of ten or twelve years beget offspring. And in their sixteenth year, men are overtaken with decrepitude and decay and the period of life itself is soon outrun. And O king, when men become so short-lived, more youths act like the aged; while all that is observable in youth may be noticed in the old. This passage seems to be in reference to people aging beyond their years far earlier than natural design. This prediction and true condition of our current world seems staggeringly accurate. We are diseased at an early age, pumped full of poisonous chemicals and can even develop heart disease in our teenage years. "O king, towards the end of those thousands of years constituting the four Yugas and when the lives of men become so short, a drought occurs extending for many years. 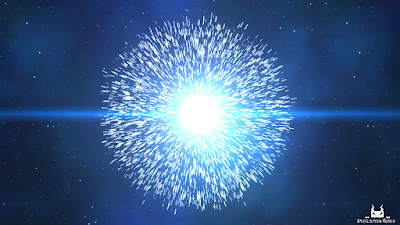 There was mention of how the Law of One text discusses how various Earth changes and difficulties are partially designed to act as catalysts for our awakening experience. If it were not for the difficulties we face, there would not be very much incentive in our world to progress. Though this is not true for every world, by my understanding, it is true on our planet, as we have a Cabal-established control structure overruling our society. Consequently, we need a firmer had to shake us from apathy since that apathy is so meticulously and artificially maintained. We will discuss this after completing this passage from the Mahabharata. And then, O lord of the earth, men and creatures endued with small strength and vitality, becoming hungry die by thousands. And then, O lord of men, seven blazing Suns, appearing in the firmament, drink up all the waters of the Earth that are in rivers or seas. And, O bull of the Bharata race, then also everything of the nature of wood and grass that is wet to dry, is consumed and reduced to ashes. And then, O Bharata, the fire called Samvartaka impelled by the winds appeareth on the earth that hath already been dried to cinders by the seven Suns. The Kali age seems to be the planetary equivalent of the concept of the dark night of the soul—a well-known aspect of the Hero's Journey. This journey is a format of storytelling used within most of the ancient as well as the modern entertainment (to restate). In fact we may have become so used to reading, watching and listening to this format that its commonality may have escaped us until now. Yet despite its commonality, the Hero's Journey seems just as new and fresh today as in ancient times. But why? This journey of the hero does not only appear within religious texts and stories from ancient or modern times. 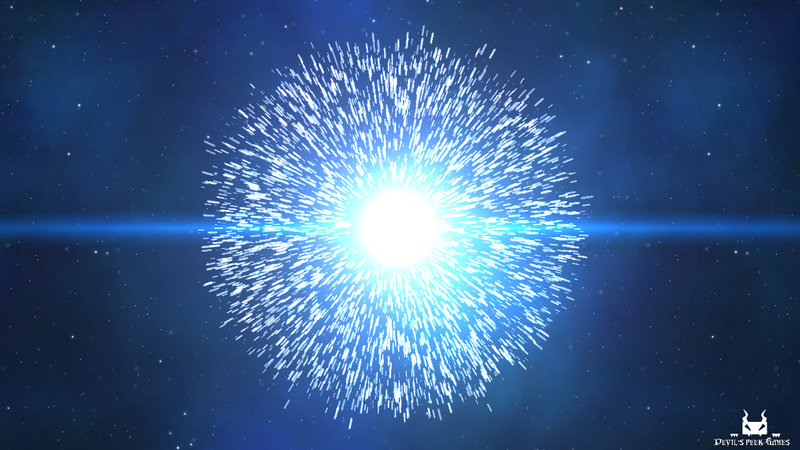 On a larger scale, this progression of development seems to parallel the various stages of spiritual development of consciousness in the universe. If it is true that the journey represents a cycle of universal development, and ancient ET visitors to Earth knew these concepts, it would explain why ancient cultures were able to predict the future the way the Mahabharata seems to have predicted the conditions of our current world. It is likely the events of the Kali Yuga have happened before on this planet, or perhaps on other worlds throughout the cosmos. David Wilcock makes mention of the likelihood that the Seven Blazing Suns mentioned above are most likely a figurative representation of the seven chakra of the human energy body. This reference may represent the energetic evolutionary process of ascension when the solar flash takes place. In this process, it is believed that the current human experience ends or is upgraded to such a height of existence that there is nothing left of the old. The new body may be something similar to an avatar with all of the abilities we read about from ancient folklore. This is actually similar to the description of what the next section the Mahabharata calls the Krita Yuga (also called the Satya Yuga) or Golden Age which follows the former Kali Yuga. Here is the text on the subject. 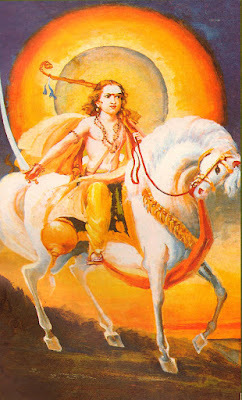 "Markandeya continued, 'Having exterminated the thieves and robbers, Kalki will, at a great Horse-sacrifice, duly give away this earth to the Brahmanas, and having established anew the blessed rectitude ordained by the Self-create, Kalki, of sacred deeds and illustrious reputation, will enter a delightful forest, and the people of this earth will imitate his conduct, and when the Brahmanas will have exterminated the thieves and robbers, there will be prosperity everywhere (on earth). And as the countries of the earth will one after another be subjugated, that tiger among Brahmanas, Kalki, having placed deer skins and lances and tridents there, will roam over the earth, adored by foremost Brahmanas and showing his regard for them and engaged all the while in slaughtering thieves and robbers. And he will exterminate the thieves and robbers amid heart-rending cries of 'Oh, father--' 'Oh, mother!--'O son!' and the like, and O Bharata, when sin will thus have been rooted out and virtue will flourish on arrival of the Krita age, men will once more betake themselves to the practice of religious rites. It's important to note here that the destructive feats described here are not total, meaning that not everyone on Earth experiences this destruction. This destruction only comes for those who are in need of a karmic balance and not for those on the positive path. According to the text, the Kalki avatar will destroy darkness on the planet and leave no remnant of it, bringing the planet into an age of abundance. 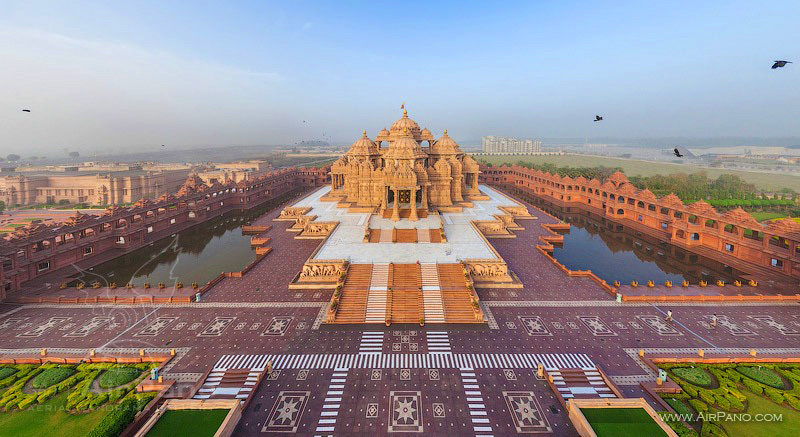 And in the age that will set in, viz., the Krita, well-planted gardens and sacrificial compounds and large tanks and educational centres for the cultivation of Brahmanic lore and ponds and temples will re-appear everywhere. And the ceremonies and rites of sacrifices will also begin to be performed. And the Brahmanas will become good and honest, and the regenerate ones, devoted to ascetic austerities, will become Munis and the asylums of ascetics, which had before been filled with wretches will once more be homes of men devoted to truth, and men in general will begin to honour and practise truth. And all seeds, sown on earth, will grow, and, O monarch, every kind of crop will grow in every season. The concept of the Kalki avatar coming forward on the planet seems to be of major significance in the Hindu faith. According to the text, this avatar somehow comes into view either before or during the time of the Samvartika fire or the great solar flash. This person is believed to be able to control matter, the elements, and do many other supernatural feats, and with this power will defeat evil on the planet and cleans the Earth from all darkness. It was also discussed in the episode the concept of the vibhuti ash. Here is a short definition of this sacred ash from Wikipedia. This is a substance that is made from the sacred fire and is known for its pleasant aroma. The ash is not only linked to the Hindu god, Shiva, as the description suggests. It actually represents the coming of the light body—the incarnation of power or the glorious form. This concept sounds very similar to the transformation of humanity discussed in multiple other ancient texts. The concept which many believed to refer to a Golden Age seems to have largely been misunderstood. The true meaning of the ancient texts actually refers not to a Golden Age, but a Golden Race. This golden race is far removed from the Nazi's idea of the Aryan race of blonde hair, blue eyes and superior genetics. This Golden Race is the spiritual, energetic, and evolutionary leap which seems to be telegraphed much like the presently observed Age of discord. Could it be that what comes next is accurately predicted as well? As promised I would like to review the passage from the Law of One which describes the reference from earlier. This was the point about how humanity experiences an accelerated awakening due to disharmony and calamity within nature and the world as a whole. This comes from the Law of One, Session 33, Line 12. 33.12 Questioner: Thank you. As we near the end of this master cycle there may be an increasing amount of catalyst for entities. I am wondering if, as the planetary vibrations mismatch somewhat with the fourth-density vibrations and catalyst is increased, if this will create a slight amount of more polarization thereby getting a slightly greater positive harvest because of this catalyst and in the same way create a more negative polarization and then get a slight amount more negative harvest by this mechanism of transition that is, unfortunately, somewhat more catalytic than it would be if the planet had reached a higher state of consciousness. Does this happen? To restate, the fact that we live in a world that is so heavily controlled by the criminal cabal gives rise to the need for a louder wake-up call, so to speak. We have so much stimuli all around us. There are countless distractions at every turn—many of which are specifically designed to make us all forget about our innate curiosity and our desire to learn. We have an intrinsic need to evolve and to better ourselves, not only automatically for the sake of survival, but consciously as a choice to move beyond our present state of existence. It is said that we each have this desire, but in order to hear and remember this desire in today's world, we tend to need a harder kick in the pants to get us moving past all of the distractions. This is why much of the catalyst, or evolutionary stimulus we experience seems so uncomfortable and sometimes painful. In today’s world, this pain serves as the next step toward our evolutionary boon. To be honest, when I heard of the concept of the Kalki, I was surprised. I did not know that ancient texts depicted what can only be described as a superhuman character (or characters) who defeats the Cabal and erases evil from the planet at the time of the solar flash. We cannot say if this being is a figurative representation of what we will all become at the time of this event or if it is one or several specific individuals. Nonetheless, the concept seems extremely intriguing. There are eight characteristics, or faculties that were discussed in this episode which the Kalki avatar will posses and use in defeating evil on the planet. These each come from the website, Sums Corp.
We may recognizer many of these abilities from recent Hollywood films. In movies such as Star Wars, Ant Man, Tarzan, the Hulk, and the X-Men these superhuman abilities seem to be promoted in excess. One may wonder whether or not certain interests behind the movie industry are attempting to prime the minds of audience members to begin considering the possibilities of actually possessing these abilities. There is much more to learn on this particular subject. I intend to cover other episodes on these and many other topics, and look forward to digging deeper to finding the answers. I hope you do as well.